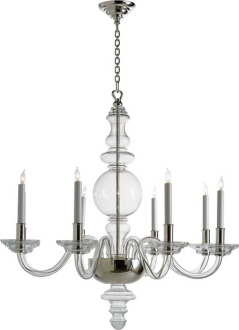 This weekend J. and I helped his mom pick out new bathroom light fixtures and while browsing the internet for vanity lights, I may or may not have gotten side tracked by the huge selection of beautiful chandeliers available. The silver and glass one? Awesome. And even though I'm not a big fan of anything brass- the lines of the top one are really really cool. I think I could handle having that in our house! 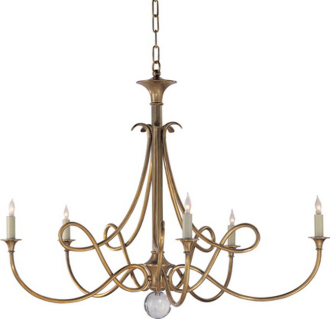 There is just something special about a chandelier- whether it's in a dining room, the foyer, or a bathroom, they always make a statement.